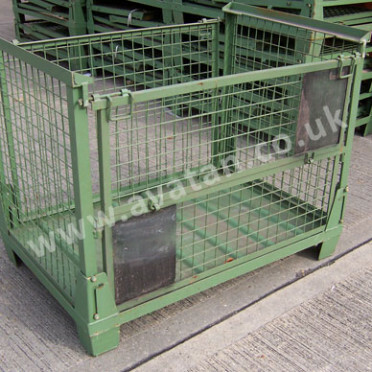 Almost new Hypacage with half drop gate on one long side. 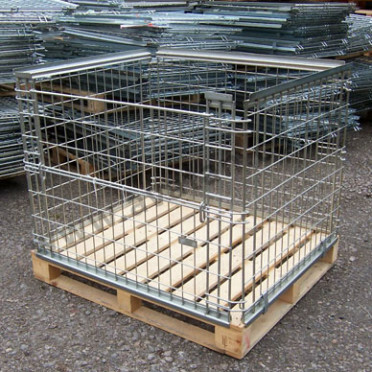 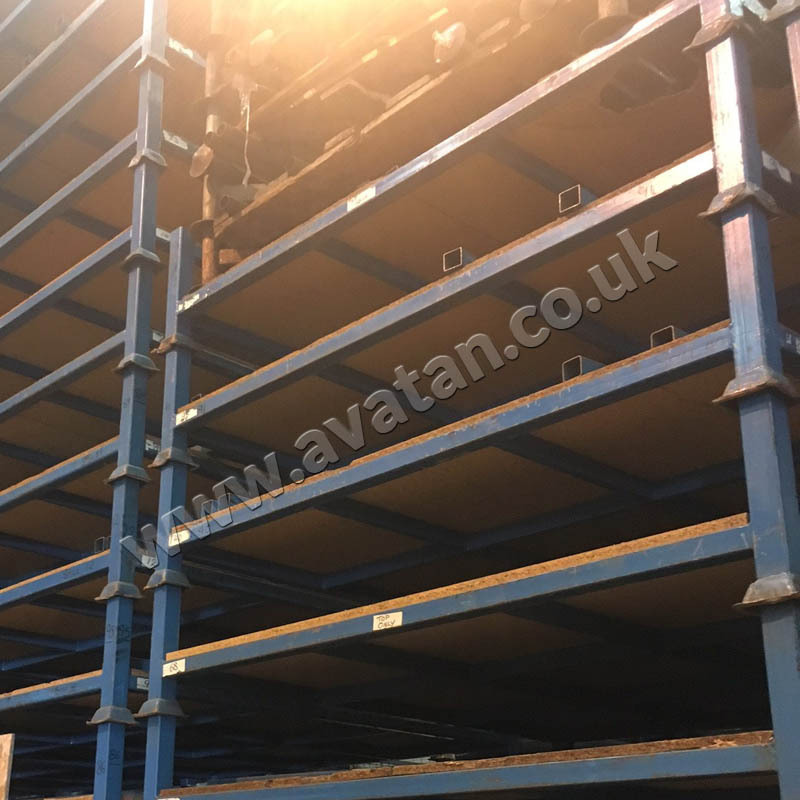 Fully collapsible cage pallet in good, solid, sound stacking used condition with all four sides hinging to base and folding flat when not in use. 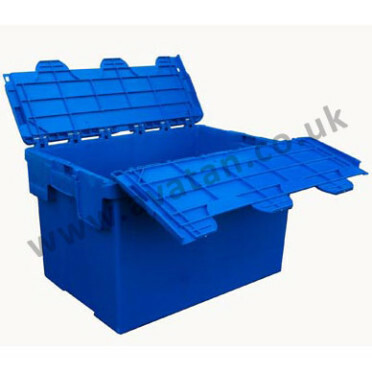 Suitable for 500kg uniformly distributed load per Hypacage stackable four units high. 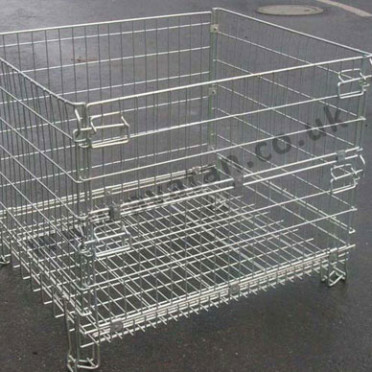 Bright zinc plated finish.